Get ready to say goodbye to both acne and dryness. Is the suspense killing you? Wonder no more. Allow us to introduce you to your new favorite obsession: Renée Rouleau Rapid Response Detox Masque ($60.50). 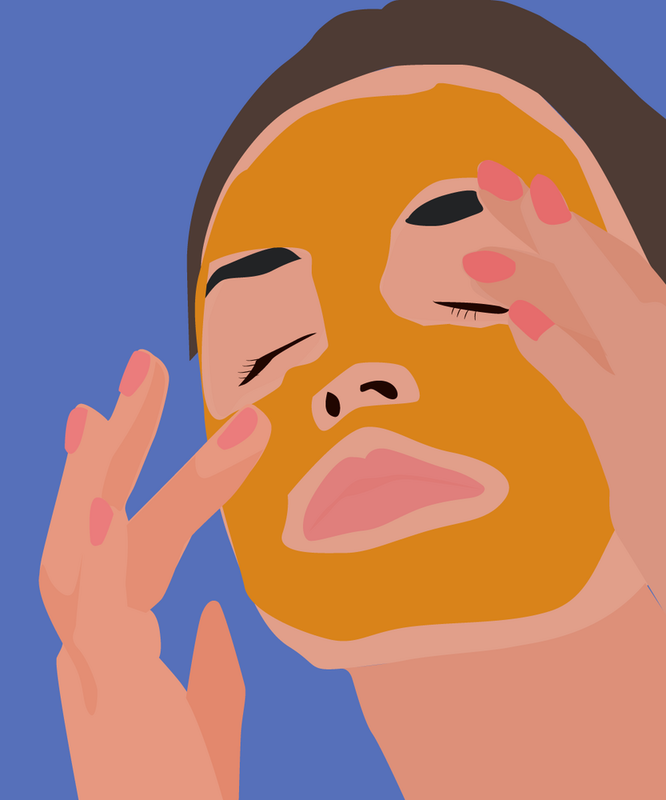 Expect a major skin overhaul, especially for acne-prone, combination, or sensitive skin types. After continuous use, you can expect skin to be calmer, more even-toned, and clearer. What makes this mask extraordinarily special, though, is its ability to kill acne—thanks to tea tree leaf oil, which literally “eliminates” surface bacteria within five minutes of application—while still being perfectly gentle and hydrating (thanks, calming Chinese licorice and allantoin). Before using this mask, I found that fighting acne, hydrating, and calming skin came only by using two or three separate products. Usually, products that work to kill acne tend to be overly drying, so to use a product in a cooling, gold, shimmery tone is really unique and refreshing. I was introduced to the Rapid Response Detox Mask last year, and have relied on it ever since. After months of bragging about its magical powers in the Domino office, I had two of our editors—each with a different skin type—give it a try, too. “After a week of use, I can completely see a difference,” says Amanda Johnson, Domino’s Digital Content Strategy Manager. Johnson has been dealing with a surge of unusual breakouts for months on end, and after an intense elimination process, she’s beginning to see less breakouts and irritation. But acne still pops up, especially around her chin and mouth. She tried the Rapid Response Detox Mask out for a week, using it for 15 minutes each night. I personally am prone to maybe one or two zits a week, mostly dietary or hormonal based. Every time a zit pops up (or is threatening to), I slather a light layer of this mask on for 15 minutes, and it’s reduced by about 75 to 80 percent by the morning. Two consecutive nights usually kills any little flare up I might have: It’s that magical. And there’s no irritation or dryness whatsoever. I do like to pair it with an exfoliating mask beforehand once a week too, to assure the gel can really get in there and get to work. Renee has quite a lot of diverse suggestions for use, but here are the ones we love below. To take this a step further, exfoliate your skin prior to using the mask to remove dead skin surface buildup. Try a chemical exfoliant like Angela Caglia’s Dream Exfoliant ($140) or Renee’s Triple Berry Smoothing Peel ($86.50). Try the mask on post-flight: It kills all nasty plane bacteria and gross recycled air, as well as reprograms the healthy balance of your skin.